Qantas often annoys me. But this time, ‘well done’! RecruitingLive w/ Anne Taylor: Learning to recruit, and survive during a merger. Delta’s Flexible Staffing: ‘Win-Win’ Or No Win? Are You - Or Your Clients - Legally Liable For The Behavior Of Your Temps? After the acquisition of US Airways, American Airlines has been making major changes with the vision of restoring American as the greatest airline in the world. 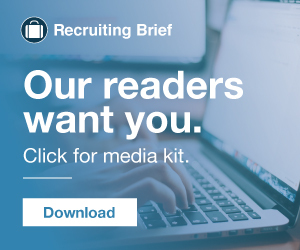 Employer Branding Flight School with American Airlines Undercover Recruiter - Recruiting & Talent Acquisition Blog. United Airlines faced a variety of scandals in 2017. From a passenger being dragged off a plane to a child being kicked out of a seat, to several pets dying on board, United Airlines needed to figure out a way to improve customer service and reshape its reputation. But after all the colossal management stupidity over the last year coming out of places like WalMart , Uber , Wells Fargo , and most recently, United Airlines , it made me think that maybe it’s time I started giving it out again. Most people wouldn’t be able to weather the storm that United Airlines went through the past couple of years and still come out on top – but Oscar Munoz is not most people. Fortune Magazine and Hay Group’s list of most admired companies in the world has Apple, Coca-Cola and Singapore Airlines in it. The post Apple, Coca-Cola and Singapore Airlines: What Can We Learn appeared first on Recruiterbox Blog Here are the three things that small businesses can learn from them: 1. When there is a setback, do not lose hope. Keep trying. If you have a clear vision and are willing to work hard, success is sure to follow. Now she has been forced by her former employer – and the courts – to have her Facebook activity and bank account examined for proof that she cheated the airline and didn’t deserve to be compensated for her time off. At Talent Connect 2017, she described the work Lippincott did with one company in particular — Southwest Airlines —to help refresh the company’s employer brand in order to resonate with employees and customers. Image from Southwest Airlines. United Airlines recently had what they thought was a brilliant idea: replacing modest quarterly bonuses with a new lottery program that gave a few lucky employees the opportunity to win a new Mercedes-Benz C-Class and up to $100,000 cash. Unite Airlines announced a “new” lottery program to take the place of their normal quarterly bonus program. The airline’s president, Scott Kirby, said the company had listened carefully to feedback from employees and decided to scrap the program. Delta Air Lines is the only domestic airline to use a flexible staffing program. The airline calls it a “win-win,” saying it helps better manage staffing levels. The airline won’t make public the cost savings it derives from the program. Here’s a quick rundown of.0001% of the companies that use it and, in some cases, haven’t changed their branding in 50 years because of it: 3M, American Airlines, Jeep, BMW, Jackass , The Office , JC Penney, American Apparel, Target, NASA, Apple, Motorola, and Panasonic. Branding & Identity Employer Branding Recruiting Amazon American Airlines employee advocacy Employer Brand Godaddy Public Relations Reputation Social Media YelpThe importance of employer branding has grown exponentially as the war for talent rages on, and candidates increasingly make “culture” a deciding factor in their employment decision. Is your company winning or losing the employment brand battle? Gag order placed on American Airlines employees prohibits them from complaining about excessive executive compensation [Forbes]. BLS: Staffing job growth strong in March [Staffing Today]. Sue the rude: Southwest Airlines agent who was publicly shamed on Twitter sues customer [ERE]. More than a quarter of unemployed Americans have been out of work for at least a year – but it’s worse in other developed nations [NY Times]. How hiring and HR build customer service cultures at Mayo Clinic, Four Seasons hotels, Apple and Southwest Airlines. The gap in employment rates between America’s highest- and lowest-income families has stretched to its widest levels on record. ABC News].
" The responsibility of employers for the behavior of employees is being looked at after the deadly German airliner crash. But what about staffing companies? AviationCV.com has extraordinary news as they launched a new page which is dedicated to Chinese airlines. Boeing predicts that China alone will need 111 000 pilots and 119 000 technicians in the coming years. So there is an undoubtedly promising aviation market. No industry is immune: the airline, automotive, accounting, pharmaceutical, banking, broadcast, and transportation network industries have all been in the hot seat most recently. But much like your airline mileage or hotel points where the membership reaches beyond the Silver and Gold to Platinum, the same can be said for the next level that everyone should be aspiring to: a status known as trusted advisor. For example, in mobility industries (transportation, airlines, trucking, automotive) it’s predicted that nearly 40 percent of the key skills required by 2020 are not key today. 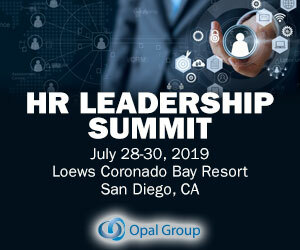 Anne Taylor, Corporate Recruiter and Talent Acquisition Manager with Virgin America will be on hand to discuss their experience following Alaska Airlines’ […]. A merger or acquisition usually means culture change, layoffs, new policies, procedures, and regulations. Right after Facebook (which also recently placed first among the Top-Rated Workplaces in the Bay Area ), we see Southwest Airlines, which held onto its second-place ranking from last year. Southwest Airlines. I really liked this ad by United Airlines…gets me excited to watch the upcoming Olympics. And if you want to get really teary-eyed, watch this video about Olympic hopeful Jordyn Wieber. Global giant Randstad has partnered with a New Zealand airline points programme, offering one Airpoint for every hundred dollars spent on temp, contract or permanent fees. We’re always interested in the variety of different ways recruitment businesses choose to market themselves. Moreover, the voluntary turnover rate is less than 3 percent, according to Rhonda Hanson, manager of awards, recognition and cultural services at Southwest Airlines. On any given day, there are more than 2,800 technology jobs on Dice in the ATL, from companies in a variety of industries ranging from airlines and retailers to healthcare providers and tech firms.